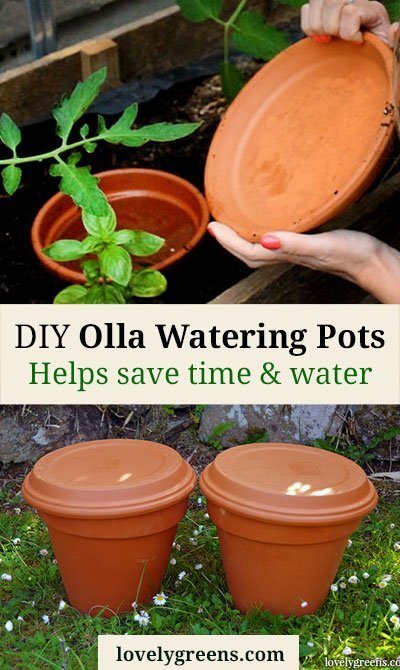 Using an Olla is a great way to keep plants watered, especially in dry regions and in the height of summer. The way they work is by slowly releasing water directly into the soil. This saves a lot of water since very little of it is lost to evaporation on the soil’s surface. Being slow-release it also means that you water your plants less. 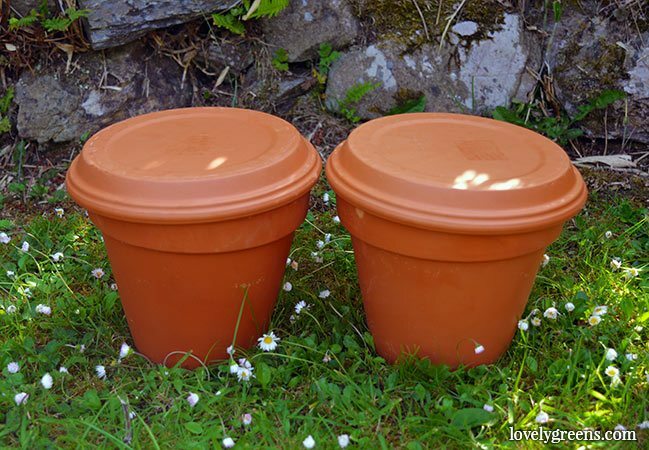 Although you can purchase purpose-built Ollas, making your own using terracotta pots is both easy and inexpensive. 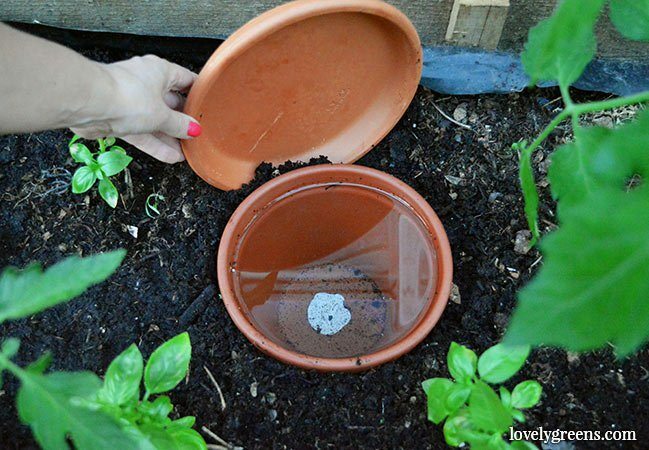 In the video and instructions below I show two ways that you can convert ordinary plant pots into low-tech watering solutions for your own garden. Saucers to act as Lids. Use plastic ones if you want to reduce water loss. I don’t think anyone really knows how long Ollas have been used to water plants. Being made from simple unglazed pots, they could have been around since the invention of pottery. Known more commonly throughout the American south-west, Ollas are used to keep plants alive in arid climates. They’re useful in any growing climate though, especially in the hotter months. The way they work is simple. Terracotta is porous and when a pot is filled with water, the moisture leaks through the terracotta. If you leave the pot in the open air you can see moisture beading up on the surface of the pot. 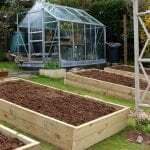 It does the same thing when buried, keeping the soil underground moist and perfect for growing plants. 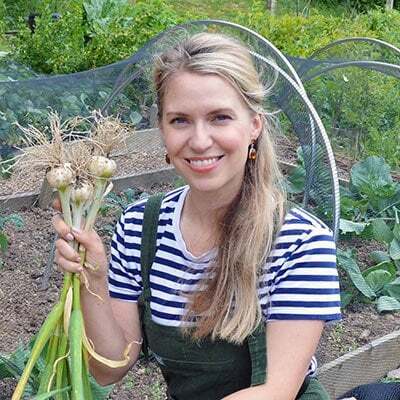 If you buy Ollas ready made for the garden, they can be beautiful items but also very pricey. 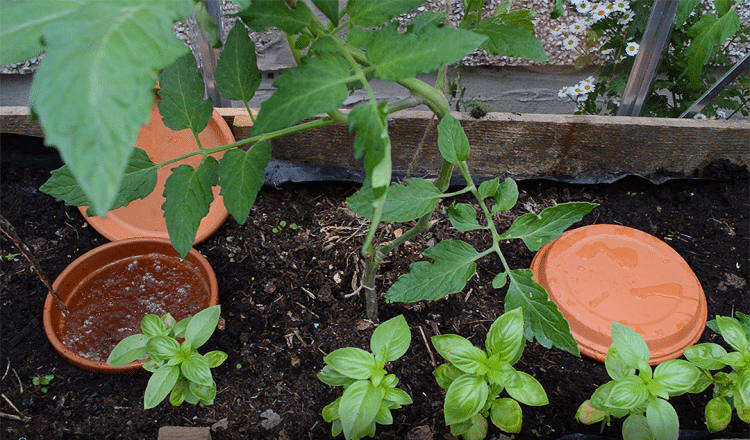 Always on the look out for a low-cost solution, I’ve thought up two different ways to create my own using ordinary terracotta plant pots and saucers. The first way is by plugging up the hole at the bottom of the pot with BlueTak — I used a generic white mounting putty as you can see in the photo below. There’s a piece stuck to the pot from the inside, and another from the outside. If I wanted to, I could remove the putty and reuse this pot as a planter in the future. The second way to make your own Olla is to fill the bottom of your pot with about an inch of concrete. You make concrete by mixing one part of cement with two parts sand, and just enough water to get it moist but not sloppy. For a single Olla you need about 1/2″ cup of cement and 1 cup of sand. Pour the concrete into the pot, making sure to plug up the hole with a bit of putty first, and let it harden for 24 hours. 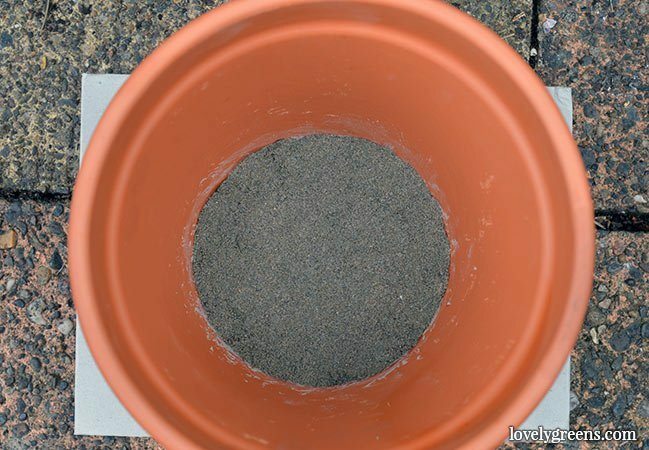 If you wet the terracotta pot beforehand, it can create a better seal. I also opted to put a piece of paper underneath while my pot dried, just in case some of it leaked out. When your Ollas are complete, bury them into the ground where your plants will be growing. Put them in all the way up to the rim and then fill the pots with water. Put the saucer on top as a lid and then refill with water when needed. My Ollas are in the greenhouse and they leak out about an inch of water per day. You can tell that they’re working if the soil around them looks more moist than the surrounding soil. 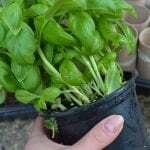 Eventually, plant roots will find the source of the water and will grow around and into the exterior of the pots. How big an area will one pot, the size in the video, service? It’s less about the area and more about the plants. 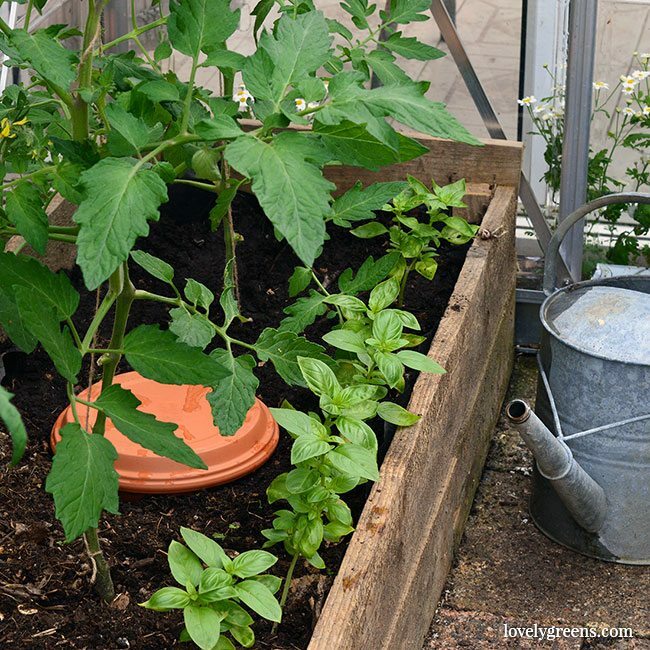 You should aim to have your pot within reach of the roots of 1-2 [tomato] plants. They’ll grow onto its surface underground and drink directly from the pot. What a wonderful idea. I love it. The lids can be removed during a rain to collect rain water and being even more conservative. I’m excited to make my own and get them in the garden. Thank you for sharing this fantastic idea. You’re so welcome Edith 🙂 Good idea for rain collection too! I make my olla’s out of two terra-cotta pots siliconed rim to rim and fill them through the hole on top. I just silicone a small tile in the bottom hole to seal it. Then cover the top with a saucer to keep the dirt out.